There are some things in life that need to be experienced to be believed. 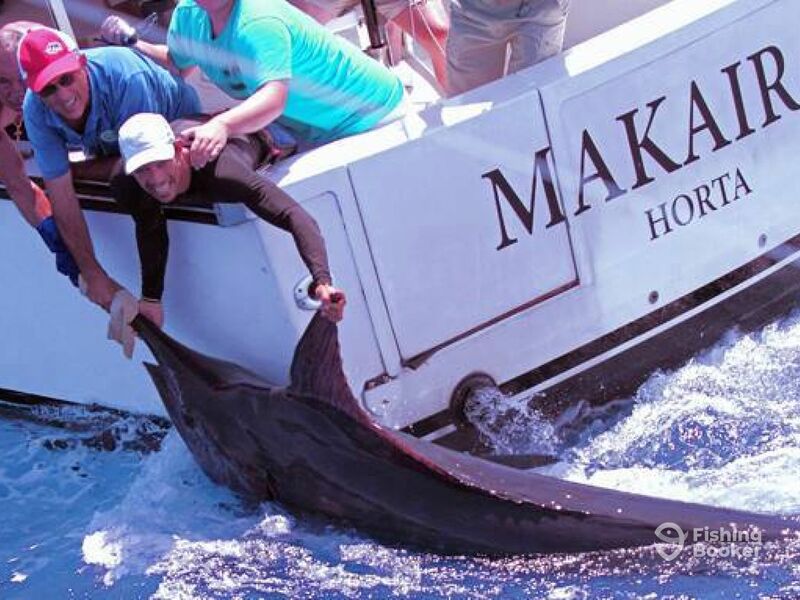 Fighting with a huge Blue Marlin is definitely one of these things! 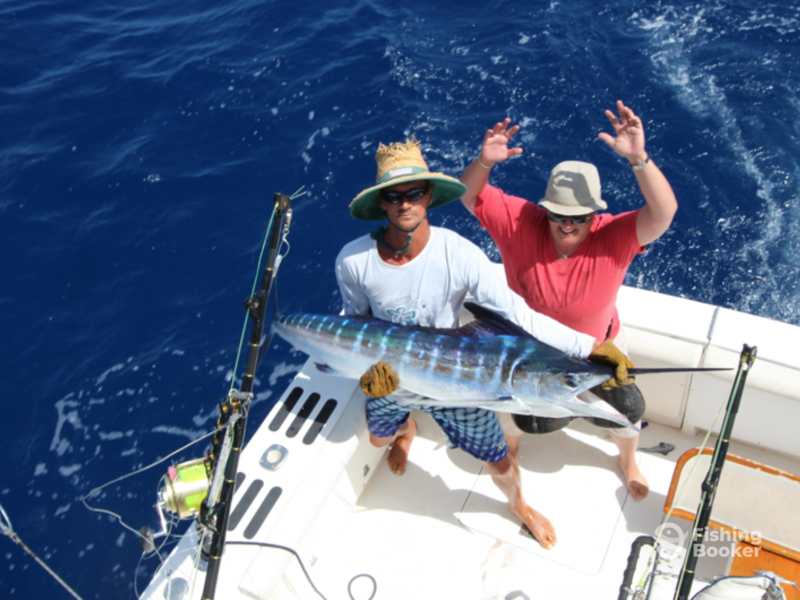 Whether you’ve done this once and want to go for round 2, or haven’t yet caught a Blue Marlin, this trip will have you going after this awesome fish. 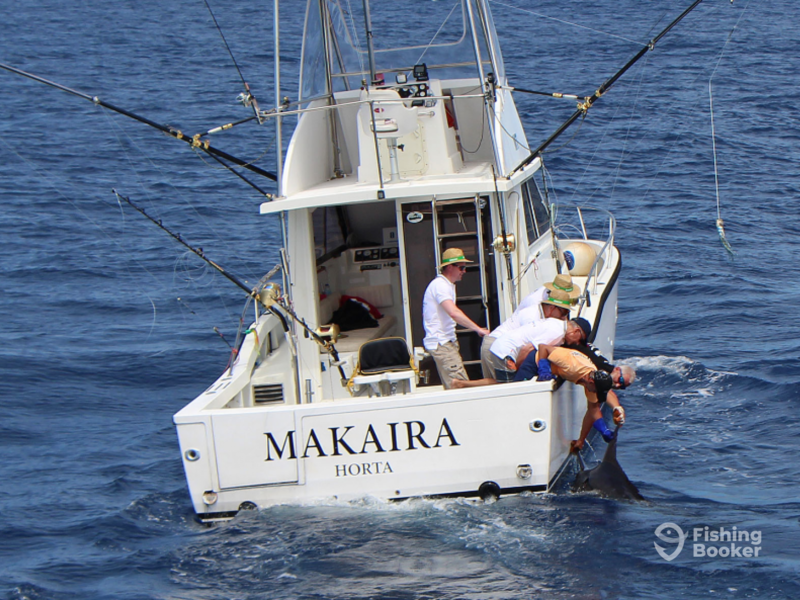 The Azores are renowned for excellent Blue Marlin fishing and are considered by many to be the home of these giants. 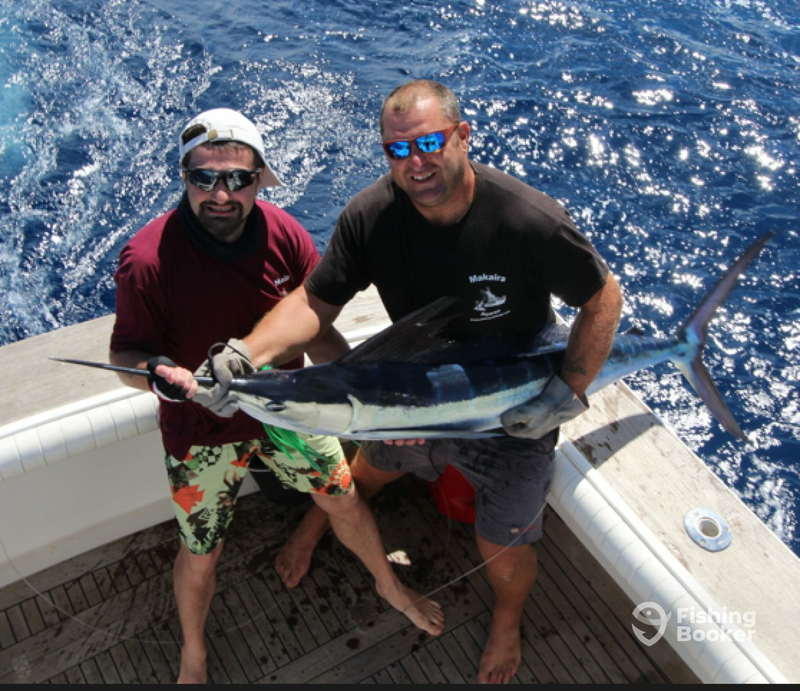 Captain Marco Canu, from Italy, relocated here for the incredible fishing opportunities. 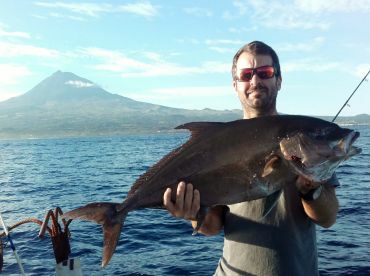 He has fished in the Azores, Cape Verde, and Italy. Join Capt. 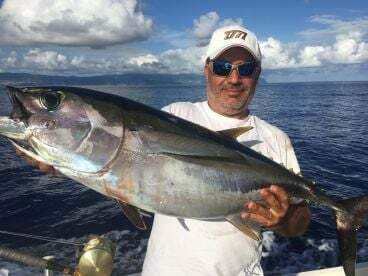 Marco on his 30’ Merry Fisher. You and 3 fishing friends will have plenty of space to fish. This boat has twin 210 Cummins B-series engines, which will help get you to the fishing grounds before you know it. The hull provides excellent maneuverability and combines a spacious cockpit, fighting chair, Lee riggers and Simrad electronics. 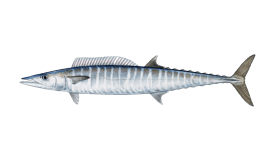 The “Makaira” is well suited to light tackle fishing, normal trolling, or coastal fishing. 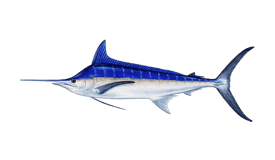 Your main target on this trip is Blue Marlin, but there will also be opportunities to catch White Marlin, Yellowfin Tuna, Bluefin Tuna, Sailfish, and Wahoo. 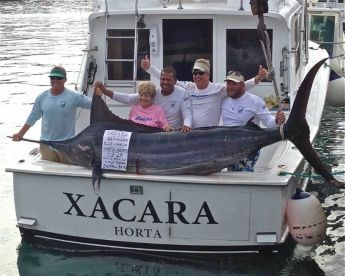 This is deep sea fishing at its best. This trip is all-inclusive, with everything you’ll need for the day provided. 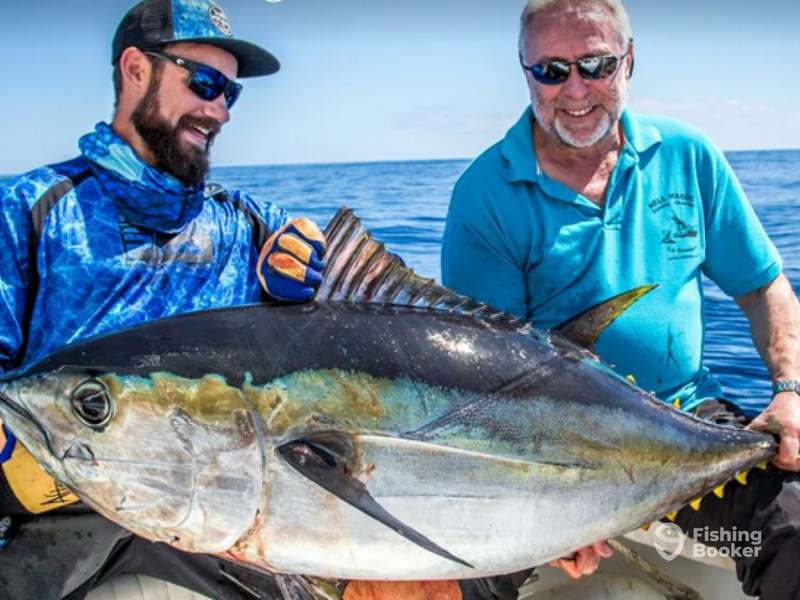 You will use top of the line rods and reels that won’t let you down when you’re reeling in your dream catch. 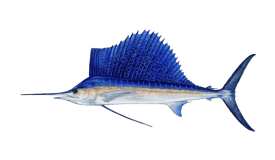 The live bait and lures will also be supplied for you. Even the food and drink for the day is included, as well as your fishing license. Now is the time to have an amazing adventure that you won’t forget in a hurry! 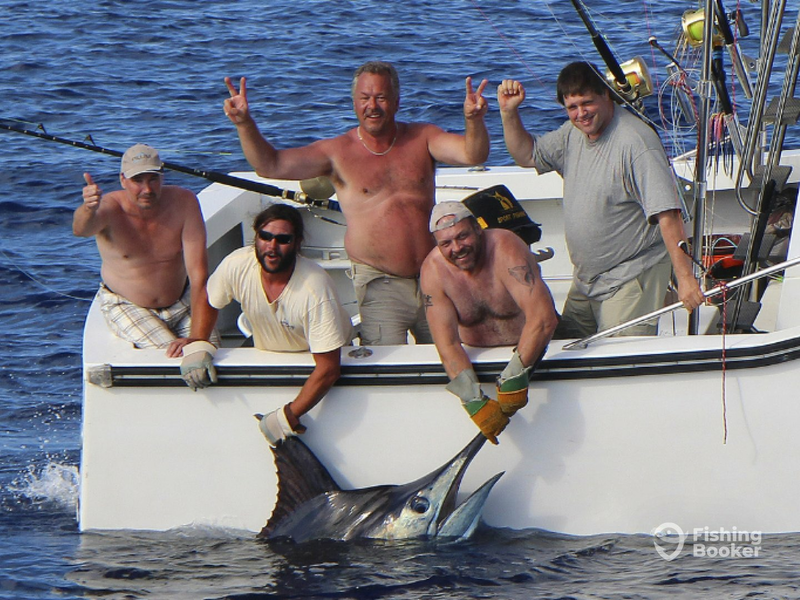 Tick deep sea fishing off your bucket list and have a once in a lifetime battle with a Blue Marlin today! 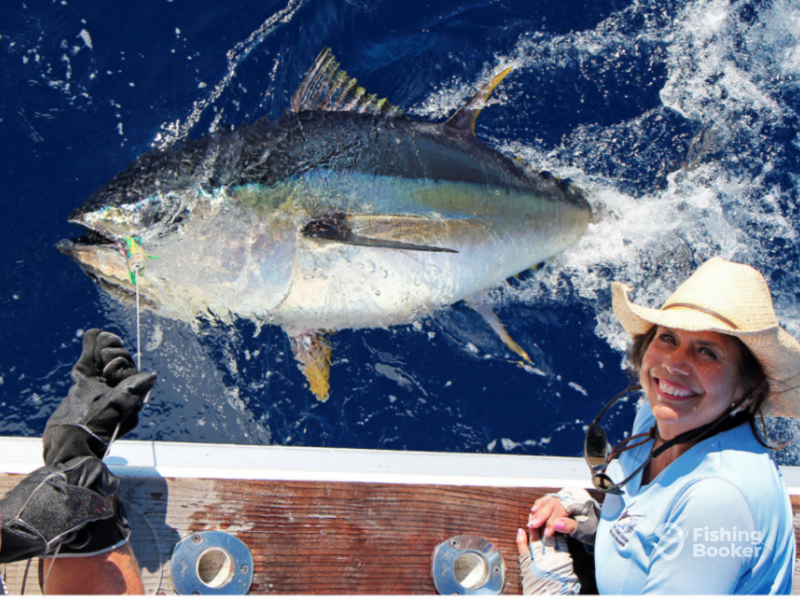 This trip gives you the option to either go far out and target Blue Marlin and Bluefin Tuna, or try your hand at coastal fishing. 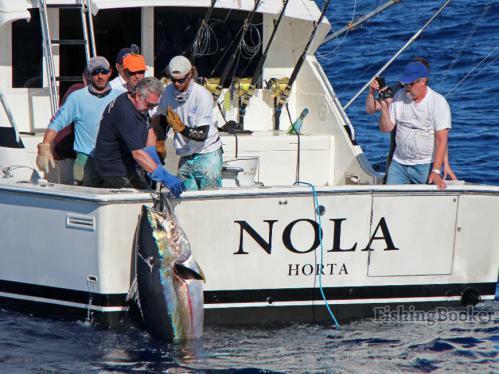 For both options, all of the fishing gear and tackle will be provided. There will also be refreshments served. Your fishing license for the day is also included. 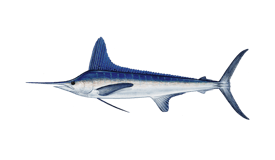 For the best chance of hooking a Blue Marlin, fish from July to October. 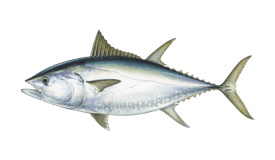 For Bluefin Tuna, fish from May to June. 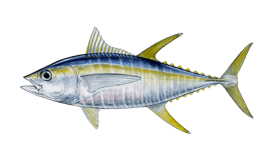 Merry Fisher (Offshore sport fishing) построена в 1989. Мотор – 2 210 л.с. Cummins. 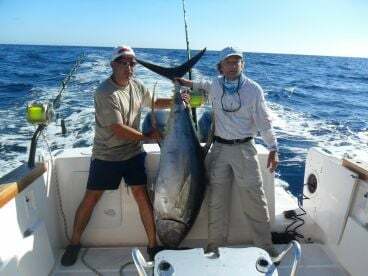 I was a bit early for this year’s tuna run but we had a great time out fishing with Les and his 1st Mate. 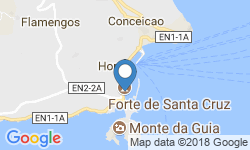 Will definitely charter this boat and crew next trip back to Faial. No luck David, little early in the season.Hope to see you again in Horta in full season .